The Champion Sports Multi-Sport Net is completely portable and easy to assemble, so you can train anywhere you like. This pop-up screen folds flat and fits into a nylon carrying case providing you with easy storage and portability. 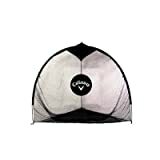 The 3/4in square poly netting makes this pop-up screen perfect for baseball pitching and hitting practice, soccer kicking practice, practicing your golf swing, or for any sport training routine. The Champion Sports Fiberglass Frame Multi-Sport Net sets up as a catch net, goal, or target allowing you to use it for a variety of sport training routines. 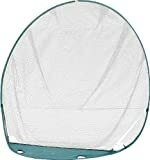 This large net measures in at 7H x 10W x 4D and folds into a nylon carrying case for easy transport. Use the multi-sport net to perfect your golf swing, for hitting and pitching drills, as a soccer goal net, or for football throwing practice. 5' Multi-function, multi-sport net can be set up as a catch net, goal or targets. 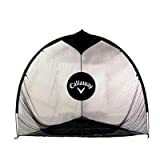 Our Callaway Tri-Ball Hitting Nets are available in 3 sizes and are made with the strongest netting in golf. It's unique shape supports practice for all clubs in your bag - from driver through wedge. Easy to set up and take down. 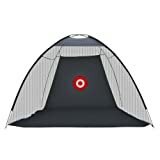 Perfect for indoor or outdoor use. 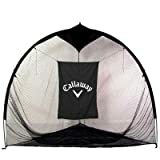 Includes nylon carry bag for easy transport and storage. Comes with Mini Tool Box. Great for storing any miscellaneous items or your spare change. Overall dimensions: 4 1/2" x 2 1/2" x 2 3/4". Mini Tool Box is shipped from a separate warehouse and will arrive within a few days of your order.